Newfield (3-0) at Candor (1-2), 4:30 p.m.: The Trojans worked a 4-1 win in the season opener. Notre Dame (3-1) at Newark Valley (3-2), 4:30 p.m.: The Cardinals won, 4-3, in the season opener. Newfield (0-4) at Candor (4-2), 4:30 p.m.: The Indians opened the season with a 19-2 win over the Trojans. Notre Dame (3-1) at Newark Valley (4-1), 4:30 p.m.: The Crusaders won, 8-4, on April 1. 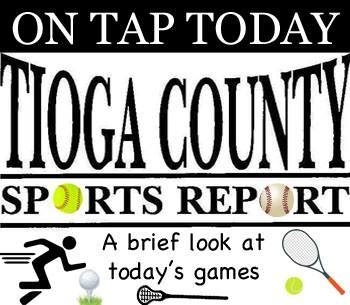 Owego at Binghamton, 5 p.m.
Owego at Molly Dry Invitational (Mansfield University), 2:30 p.m.